President Donald Trump speaks at an event to promote his tax cut package at Bucky Dent Park in Hialeah, Florida. Preparations to punish Russia anew for its support of Syrian President Bashar Assad’s government over the alleged chemical weapons attack in Syria caused consternation at the White House. Haley said on CBS News’ “Face the Nation” that sanctions on Russian companies behind the equipment related to Assad’s alleged chemical weapons attack would be announced Monday by Treasury Secretary Steven Mnuchin. But as officials in Moscow condemned the planned sanctions as overly punitive, Trump conferred with his national security advisers later Sunday and told them he was upset the sanctions were being officially rolled out because he was not yet comfortable executing them, according to several people familiar with the plan. Administration officials said the economic sanctions were under serious consideration, along with other measures that could be taken against Russia, but said Trump had not given final authorization to implement them. Administration officials said Monday it was unlikely Trump would approve any additional sanctions without another triggering event by Russia, describing the strategy as being in a holding pattern. But other administration officials expressed skepticism that Haley had merely misspoken. They said Haley is one of the most disciplined and cautious members of the Cabinet, especially when it comes to her public appearances. She regularly checks in with Trump personally to go over her planned statements before she sits for television interviews. Haley issued no clarifying statement on Sunday after news organizations, including The Washington Post, reported prominently that the new sanctions would be announced Monday based on her comments to CBS. Asked Monday morning why it had taken 24 hours for the administration to walk back Haley’s comments, one White House official said only that there had been confusion internally about what the plan was. The sanctions were developed in recent weeks as part of a ready menu of potential military and economic measures for Trump to enact to strike back at Assad’s government and his Russian patrons, according to a senior administration official. In early March, following a relatively small scale chemical weapons attack in Syria, Trump was upset there was not a ready set of options, so then-national security adviser H.R. McMaster prepared a series of measures that were not enacted. But the late-March poisoning of a former Russian spy on British soil led the Trump administration to trigger the first round of the economic sanctions on that menu and to expel 60 diplomats in coordination with the European allies. 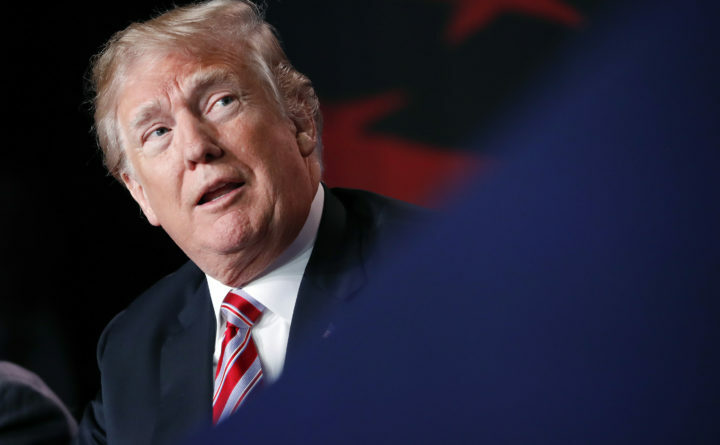 But it was unclear to officials whether Trump wanted to hit Russia with the next set of options on the sanctions menu or wait for another attack, according to the senior administration official. Early in the Trump administration there were conflicts between Haley’s team and the president on Russia. Shortly after Trump’s inauguration, Haley delivered a speech at the United Nations that recommitted the White House to the Obama administration’s policy on sanctions related to Russian aggression in Ukraine. The speech was cleared by David Cattler, then a senior official on the National Security Council, but the remarks frustrated Trump, who demanded to know who had approved them. “Lots of people got yelled at – some by the president,” said a U.S. official at the United Nations. Cattler, in turn, was pushed out of his job a couple of weeks later in a reorganization of the NSC by McMaster. White House officials said Trump has been impressed with Haley lately, particularly her remarks about Syria over the past week, and stressed Monday that the president holds her in high regard. In the absence of a permanent secretary of state, Haley has been the face of American diplomacy, playing an especially prominent role over the past week as the Trump administration responded to the attack in Syria. But after the Kremlin got word through Russia’s embassy in Washington that the sanctions would not be coming, there was a subtle shift in Moscow toward a less confrontational tone, even as officials continued to slam U.S. sanctions as veiled attempts at gaining economic advantage. But on Monday, senior lawmakers in the lower house of parliament, the State Duma, decided to hold off until May 15 before considering any counter-sanctions against the United States. Speaker Vyacheslav Volodin said the Duma needed to meet with experts and the business community first. Deputy Foreign Minister Sergei Ryabkov also urged calm.